Boo! It’s just about Halloween, the last finishing touches are getting put onto costumes, the neighborhoods are being scouted out and the kids are oozing with excitement of the big day. Staying up late has a whole new meaning when you get to go door to door collecting as much sweet treats as your arms can carry back. But after all that walking in the dark (and occasionally rain or snow) it is always nice to change into something comfortable and settle down for some family time. 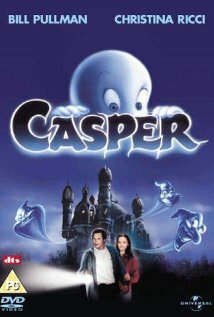 There is nothing better than ending a night of trick or treating snuggled up on the couch with a good Halloween movie. So, grab some cider and popcorn we have a great list of 10 movies your family will love. For the littlest trick or treaters, these movies are rated G.
1. It’s the Great Pumpkin Charlie Brown- A family favorite since 1966 and a true Halloween classic! We have all watched as Linus waits for the Great Pumpkin, your kids will love it too. 3. Room on the Broom- This parent choice award winner is based on the popular Julia Donaldson book, The Gruffalo. The story is of a friendly witch who much to the frustration of her cat, invites a group of animals onto her broom. For the preschoolers and elementary aged kids, these movies are rated PG. 5. The Witches- The special effects are amazing in this film about a 9 year- old boy who stumbles onto a witch convention and tries to stop them from their plan to turn children into mice. 6. The Addams Family- From the popular sixties sitcome, the Addams family is a comedy filled with creepy and kooky characters who are sure to become a staple every Halloween. 7. 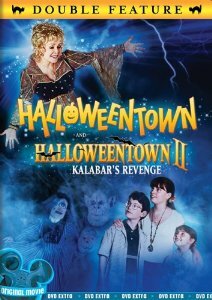 Halloweentown- This Disney made for TV film takes place on Halloween in a place called Halloweentown where a young family must battle evil as they discover family secrets and special magic powers. 9. 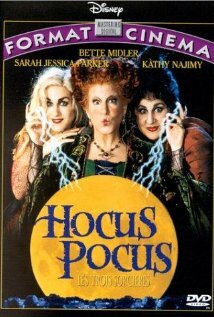 Hocus Pocus- We love the story line and bit of Halloween history that can be found in this great Halloween film. The three witch sisters that are resurrected on Halloween are both comical and spooky and it is up to two teen-agers, a young girl, and an immortal cat to put an end to the witches’ reign of terror once and for all. 10. The Nightmare Before Christmas- The Halloween list wouldn’t be complete without a Tim Burton film. Per imbd, Jack Skellington, king of Halloweentown, discovers Christmas Town, but doesn’t quite understand the concept. Stroller Strides, Fitness and Fun for New Moms! The number one exercise program for new moms is Stroller Strides, and they’ve arrived in Dutchess County! This unique exercise program is considered “specialty mom fitness”, and incorporates fun exercises with your baby and stroller. Each class consists of power walking, with intervals of body toning, using resistance tubing and cardio. The classes are designed for all fitness levels and they welcome babies as young as 6 weeks. The instructors weave songs and activities into the class to keep the babies happy and entertained. The program inspires moms to reach their optimal health and well-being, and is also tons of fun. Karen and Kristen are the instructors at the Poughkeepsie Galleria location, and they are dedicated to helping mom’s achieve their physical and emotional potential. Stroller Strides is offering specials for new members so don’t delay. If you are a new mom and you made a fitness resolution for 2011, Stroller Strides can help you reach your goal. For more information call 914-406-5394 or visit them on the web. For me, the holiday season is a special time that includes good food, fun, family and friends. Like many, however, I am challenged each year with finding the balance between joy and happiness and guilt and stress. As the founder of Time Savor Gourmet I help people just like you to make good food, fast and easy no matter how busy you are or how well you can cook. As a result, I came up with some holiday survival strategies to help you eat well, entertain with less stress and not pack on the pounds, all while having a great time! My next few blog posts will cover strategies for Entertaining, Cooking, Stress-Less Party Noshing and some general behavioral tips to help you get through the holidays with ease. Tried and true, classic recipes that are low in fat and full in flavor are a tradition in my household. At the start of the holiday season, I make sure to have my pantry & fridge armed with the items I’m going to need to whip up some of my favorite snacks when unexpected (or expected!) company arrives. (I’ve listed a few of my favorites in the Holiday Appetizer 911 section on my website.) By having good ingredients on hand and stocking your pantry, fridge and freezer with some basics (and NOT fat laden frozen appetizers!!!) you’ll be prepared and never caught off guard.